bring out your best, naturally. Welcome to the all-inclusive experience. 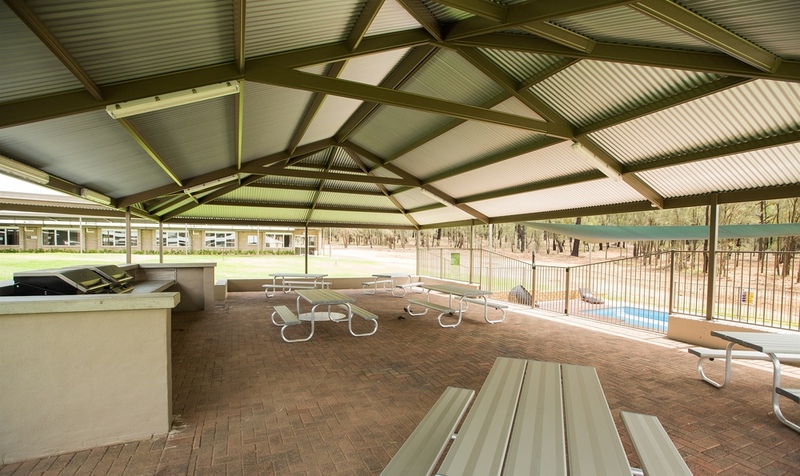 Vista Lodge Estate is a locally run business on the edge of Dubbo, located 3km from town. Vista is nestled in amongst the beautiful surrounds of nature with wildlife roaming the grounds on a daily occurrence. Partnering with David Payne Constructions, great care was taken in the approach to upgrading the complex, from its previous life as a community facility. Their team of local trades people put their hearts and hands into the project, achieving the vision with skill and excellence. Vista Lodge Estate was born of a simple desire; to offer large groups and teams to place to eat nutritiously, sleep well, train effectively and have fun together as a unit. There was a clear need in central regional NSW for sport and corporate teams to retreat to a place where they could focus on their purpose. At our full-featured property, sports teams are able to enjoy training time, recreational time and team building – all without leaving the property. Who is Vista Lodge Estate for? We want to share our space with people who are looking for a full-service facility in a tranquil setting near to city conveniences. Our property offers many facilities in the one location. We respect your privacy, hate spam and will never sell your contact information. Dubbo is a thriving and dynamic regional City and home to more than 40,000 people. The City services a regional catchment population of 120,000 with a breadth and diversity of health, education, retail and professional services the envy of regional cities across Australia. The city also hosts a collection of state-of-the-art event and sporting facilities. From SYDNEY: Travel over the Blue Mountains to Lithgow. From LITHGOW there are two options; either drive north via Mudgee and Gulgong (396km) or head west via Bathurst and Orange (408km). From ADELAIDE: Travel east on the Barrier Highway via Broken Hill, Wilcannia, Cobar and Nyngan. (1271km). Three airlines service Sydney, Melbourne and Brisbane routes. Dubbo is a short 50 minute flight following departure from Sydney Airport. For detailed information about Dubbo Airport, please click here. A relaxing journey can be enjoyed via NSW Train Link’s daily service into Dubbo. For more information, please click here. For detailed maps and travel information, please click here. The place for action and relaxation. In keeping with our natural surroundings, the indoor/outdoor gym features Norway designed equipment crafted from recycled sandal wood timber. Book your Vista Lodge Estate experience, and discover more.